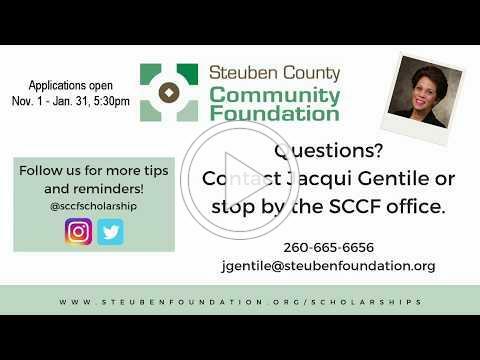 Donor insights and upcoming events at Steuben County Community Foundation. 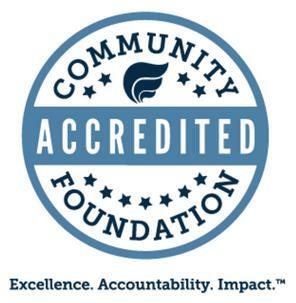 Community foundations allow people to support local organizations through grantmaking. Starting in 1999 as part of a Lilly Endowment GIFT initiative, SCCF took this concept a step further by challenging local communities in Steuben County to establish 10 funds serving Angola, Ashley-Hudson, Clear Lake, Fremont, Hamilton, Helmer, Metz, Orland, Pleasant Lake, and Salem Center . ﻿Community funds are permanently endowed, which allows for grantmaking every year. Anyone can give to a community fund, and each year, profits of the Steuben County Fiber Network are gifted to the funds. This month, we're sharing four recent examples of grants made by community funds at SCCF. September 2018 - The Hamilton Police Department was able to add lifesaving equipment to its squad cars thanks to a grant from the Hamilton Fund at Steuben County Community Foundation. Previously, the department had one AED to share between four cars, which was over twenty years old. With its location between Angola and Dekalb, Hamilton PD are often the first to arrive at a scene. However, if the car with the AED was at a different location, the officers would be unable to do much without additional help. 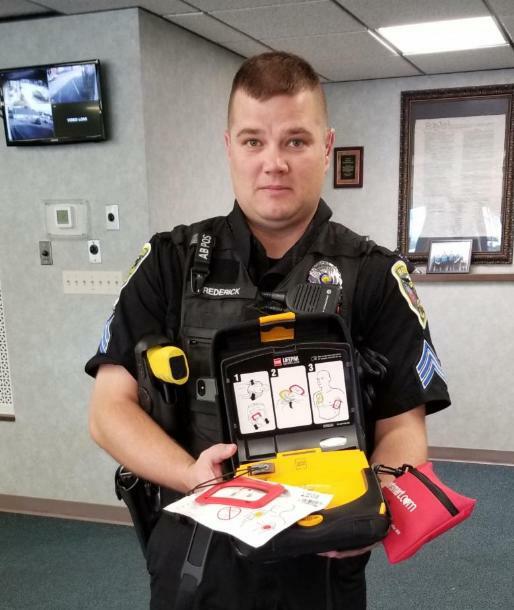 “An AED is one of the tools we use the most with our older population,” explained Sergeant Thomas Frederick (pictured with one of the AEDs purchased). With a grant of $2,390 from the Hamilton Fund, they purchased two AEDs for their night shift cars. The machines are considered semi-automatic, so they verbally guide the user through the process. This allows the officer on the scene to, if needed, take care of other concerns while someone else without the training can confidently use the life saving device. “For a family to see that we have the tools to help a loved one, it gives us peace of mind in a medical situation and helps them feel more at ease," said Sgt. Frederick. The grant is another step in the process as Hamilton Police Department grows. Funding for the remaining AED’s has been committed by REMC’s Operation Round Up. August 2018 - SCCF funds recently supported Trine University’s Walk Into My Future event, held in September 2018. Around 1000 kids participated in the event (600 from Steuben County), which is a partnership of YMCA, Trine University, and the Steuben County Economic Development Corporation. Student volunteers from around ten departments showed the kids various college activities. They were introduced to careers at the Mechanical and Aerospace Engineering table where they made paper airplanes. Kids ran through activities like hopscotch and track hurdles at the Exercise Science station. The Humanities and Communications Department taught sign language basics, and the Economics department organized a game to learn about wants and needs. 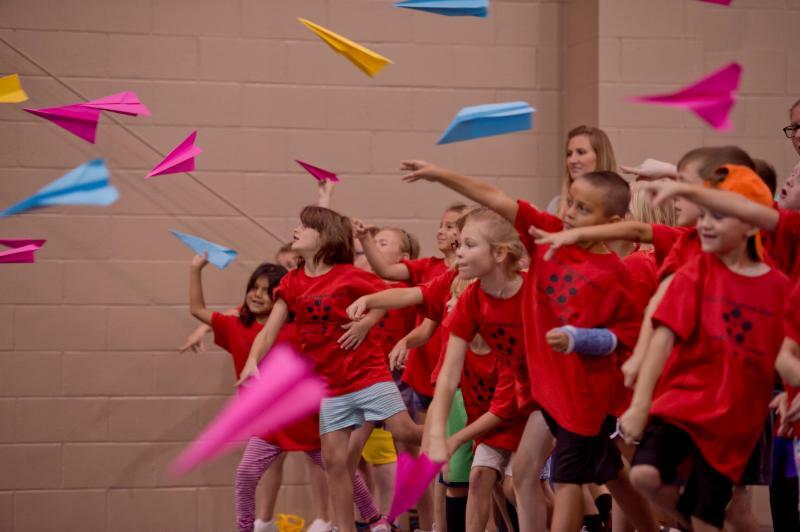 The Athletic and Recreation Center at Trine had an atmosphere of controlled chaos and fun as the fourth grade students learned about new opportunities in their future. In total, the event was supported by the Women’s Fund, the Fremont Community Fund, and the Hamilton Community Fund at Steuben County Community Foundation with a grant of $3,325. 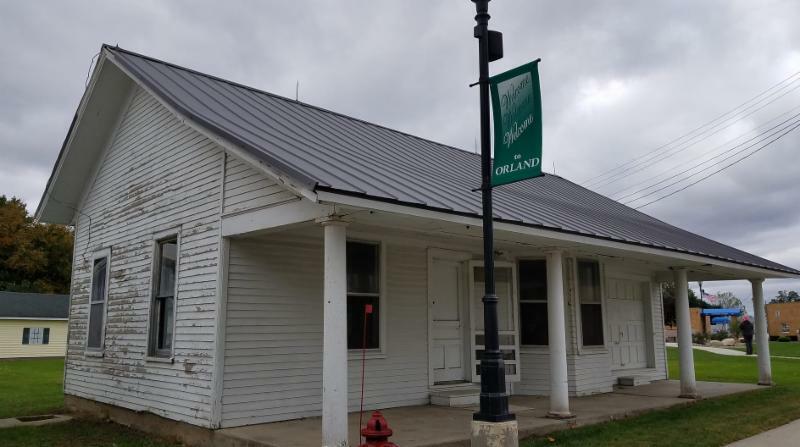 October 2018 - The Town of Orland received $5,000 from the Orland Community Fund at Steuben County Community Foundation for the replacement of the roof of the Orland Depot Building. The building is important to the town’s history as it was used from 1905-1917 for the St. Joseph Valley Line Railroad. Currently the building stores town decorations and materials. However, the future plan for the building is to develop a museum of artifacts from settlers in the town. Without the roof repair, water damage would have permanently destroyed the building. 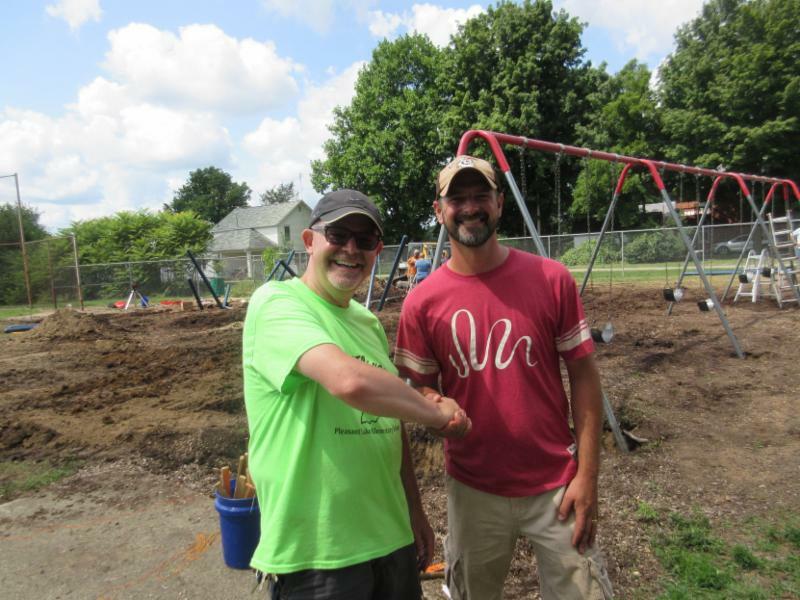 May 2018 - The Pleasant Lake Fund approved a grant of $2,500 to purchase equipment for a community built upper-elementary playground. Previously, the playground was outdated and had limited equipment for older students to play. The new equipment provides a safe, modern playground for kids from grades 2-5 to run, jump, and climb so they are mentally rested and ready for success in the classroom. This project was a collaboration of multiple community organizations and volunteer efforts. Read the KPC article here . 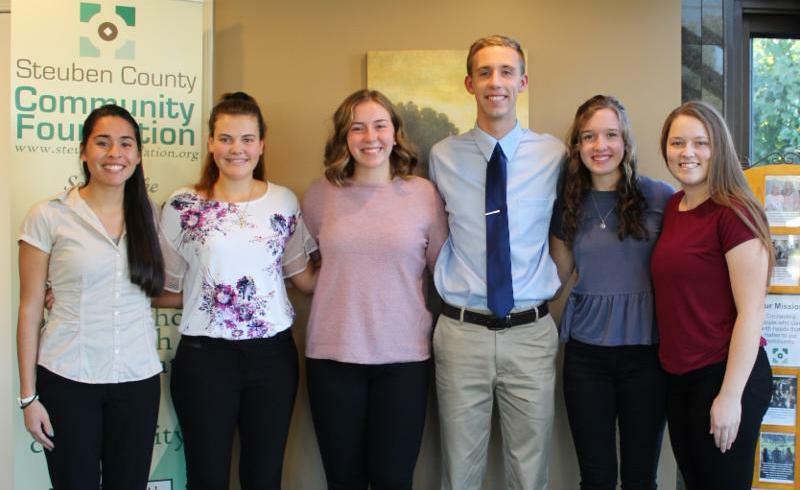 Congratulations to our 2019 Lilly Endowment Community Scholarship Finalists! Pictured left to right are Annie Delgadillo, Jaden Cardoso, Abigail Stoy, Mason Gaerte, Bailey Pelliccia, and Alyssa Hernandez. October 30: Nonprofit leaders, staff, and directors are invited to attend a networking event held at SCCF from 3-4pm. This is an opportunity to learn about our training series and share your organizational wish list for year-end giving. RSVP to ensure we have plenty of coffee and cookies for participants! Email jness@steubenfoundation.org or call 260-665-6656. See our website for more details about the event and to download the wish list form. November 1: Scholarship applications open! Check out our website for details and watch our new application tutorial video. Completed applications are due January 31, 2019 at 5:30pm. Follow @sccfscholarship on Twitter and Instagram for scholarship tips and deadline reminders. December 17: Deadline to initiate a year-end transfer of appreciated stock. This ensures your financial institution has adequate time to process the transfer. Contact SCCF President & CEO Jennifer Danic with questions at jdanic@steubenfoundation.org. December 31: Deadline for year-end gifts of cash, check, or online donations. Please note the SCCF office will be closed on December 31, but gifts may be left in the lock box on the north side of our building. The Community Foundation would like to recognize and thank the following individuals, families, and organizations for their generous donations in September. Your support is appreciated! Click Here to see a copy of the Endowment Funds administered by SCCF. Updated February 2018.